David was trained at The Royal Ballet School and subsequently joined The Royal Ballet Company becoming Senior Soloist where he danced many principal roles. He also performed with the National Ballet of Canada, Pacific Northwest Ballet, British Ballet Columbia and English National Ballet. David worked as Ballet Master for the Ankara State Ballet Company and Singapore Dance Theatre. He guest teaches for The English National Ballet Company and internationally. An experienced teacher, he now teaches all levels at The Royal Ballet Upper School, primarily responsible for the second year boys. Atsuko started her training when she was five years old and learnt from Masako Imamura, Isamu Hashiura, and Yoshimi Yo. 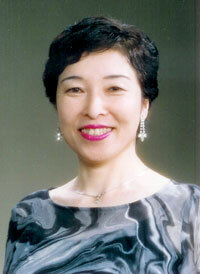 She joined Sendai City Ballet Institute, where she danced several roles and also worked as a teacher for 10 years. 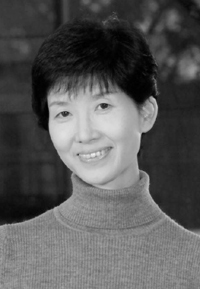 After she graduated from Miyagi Gakuin Women's College, she founded Clair Ballet Atelier in 1975. She completed the Vaganova Method of teaching classical ballet in 1979. She has an established reputation as a teacher and she has trained a number of excellent dancers including dancers who have won first prize in competitions both in Japan and abroad. She won the Art prize of Light Pageant in 1996, and the prize of excellent teacher every year since 2004. By visiting several different countries which include the U.S., China, Germany, Canada and Australia, she has built relations with many Ballet schools abroad. Michiko Nakamura started to learn ballet in the Sendai City Ballet Institute where she won the silver prize in the 27th All Nippon Ballet Competition organised by Tokyo News Paper Company in the junior category. In 1974, she began her training at The Royal Ballet Upper School taught by Maryon Lane and other experienced teachers and later joined Monaco Ballet Academy coached by the esteemed Susan Dubreuil. She performed with the Danish Ballet Group, directed by Nini Theilade, in Denmark and Germany. She also danced principle roles in ballets such as the "Symphonic Variation" composed by Franck, Andersen’s “The Ice Maiden" by Sibelius and "Napoli". After she returned to Japan, she danced with Tokyo City Ballet and Matsuyama Ballet as a principle and the first soloist. The performances, which include George Balanchine's “Serenade” and “Allegro Brillante”, received favorable reviews. She founded Company Bona Terra in 1996 and now works as a director, choreographer, and teacher at the classic ballet schools in Tokyo, Miyagi and Shiga. Rolando Yanes is native of Villa Clara, Cuba He received training at the Professional　School of the Arts and the Vocational School　of Ballet　in Santa Clara, Cuba. While in Cuba, Mr. Yanes was a principal dancer with Joban Guardias Centro ProDAnza under the direction of Laura Alonso and Ballet de Camaguey. In 1995, he was awarded the Silver Medal at the prestigious International Ballet Competition in Brasilia,Brazil. Mr. Yanes came to the United States　in 1996 as a principal dancer with Milwaukee Ballet Company. As a principal dancer with Milwaukee Ballet, Mr. Yanes expanded his diverse classical and contemporary repertoire. 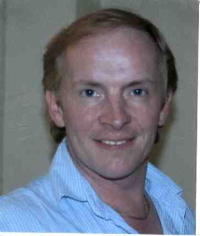 He has participated as adjudicator in the Russian Point Ballet Competition and The American Ballet Youth Competition. Mr. Yanes is in great demand as a guest artist. He has performed with numerous companies including performances of La Fille Mal Gardee with Ballet Taller de San Juan (Puerto Rico), and The International Ballet Festivals in Havana, Cuba and Maracaibo,Venezuela. Mr. Yanes has also performed with the Rockford Ballet, Pamiro Opera (Green Bay), the Florentine Opera and on international tours to Brazil, Venezuela, Mexico, Martinique, Guadeloupe and Jamaica. 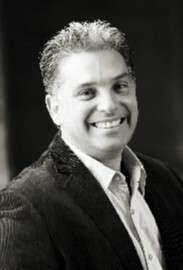 Mr. Yanes has been the director of Milwaukee Ballet II, the official pre-professional program of the Milwaukee Ballet, since 2001. In addition to performing with Milwaukee Ballet Company, these young dancers will continue their development as they perform classical and original choreography in performances and community outreach events in and around southeast Wisconsin. Since 2004 Mr. Yanes has been directing Milwaukee　Ballet　School. His original choreography has been performed by Milwaukee　Ballet　School’s pre-professional summer program students and Milwaukee Ballet II. After graduated from Bolshoi Ballet Academy (Moscow) in 1993, Mr. Mishutin became a soloist dancer with the the Stanislavsky and Nemirovich-Danchenko Moscow Academic Music Theatre Ballet, Russian Imperial Ballet, Kremlin Ballet and so on. In 2001, he became a principal dancer with the Nippon Ballet Association Company in Japan, and started to teach character dance at the Kyoto Ballet Academy. Mr. Mishutin has also studied the teaching of dancing including classic ballet and character dance at the Professional Arts Academy at the Tchaikovsky Conservatory and taught at various institutions as a guest teacher and choreographer in several countries including Ukraine, Romania and Italy. He choreographed Harlequinada in 2012, and Cleopatra in 2013 at the NBA Company. Tomoaki Kuwahara began his training in Kuwahara Ballet Academy in 1982. He was trained in Vaganova Academy of Russian Ballet and became a soloist in the Stanislavsky and Nemirovich-Danchenko Moscow Academic Music Theatre Ballet in 1995 where he danced "Swan Lake", "Natcracker", "The Taming of the Screw", "La Corsaire", "The Hump-backed Horse" and "Romeo and Juliet". He learnt from Kimitaka Kuwahara, Chikako Ishizuka, Akira Egawa, A.Nikolaev, M. Azalin, I. Khmelnitsky, K. Shatilov, B.Bregvadze, V. Semyonov, S. Berezhnoi, Uksunikov, and Bondarenko. His repertoire includes "Coppelia", "Harlequinade", "Paquita", "Don Quixote", "Pas d'esclave", "La Bayadere", "Diana and Actaeon", "Les Shylphides", Pas de deux from "Natcracker" and "Harlequinade", which was praised by critics in Saint-Petersburg. He was also a finalist at International Ballet Competition Vaganova-prix (St Petersburg) held in 1995. After he returned to Japan in 2000, he joined Tani Momoko Ballet. 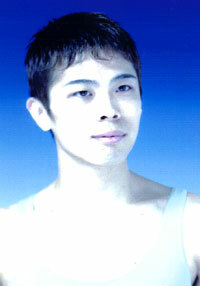 Currently he works as　a freelance dancer and teacher at the Kuwahara Ballet Academy. Bolshoi Ballet Academy(Moscow) graduate,former soloist dancer with the Kremlin Ballet, the Moscow Academic Musical Theatre, the Russian Imperial Ballet,and the Nippon Ballet Association Company in Japan. Taught at the Professional Arts Academy at the Tchaikovsky Conservatory. In Japan he taught at the Nippon Ballet Academy and the NBA Company, and is currently teaching at the Kyoto Ballet Academy. After he returned to Japan in 2000, he joined Tani Momoko Ballet. Currently he works as a freelance dancer and teacher at the Kuwahara Ballet Academy. Shannon was trained on full scholarship at the School of American Ballet, the National Ballet School of Canada, and the Hungarian State Ballet Academy. Shannon was a Principal Dancer for the Bolshoi Ballet, Birmingham Royal Ballet, Vienna State Opera Ballet, Stars of the Bolshoi Ballet, Hungarian State Opera Ballet, and Kremlin Palace Ballet Theatre, with commendations from President Bush and President Clinton, and has performed for President and Mrs. Gorbachev, President Nazarbayev, and President and Mrs. Ford to name a few. He is a National Endowment for the Arts Awardee, and Two-time Laureate and Medal winner of International Ballet Competitions in Paris, France, and Budapest, Hungary. He was Director of the shortly revived Russian Imperial Theatre of Opera and Ballet under the Patronage of Her Imperial Highness the Grand Duchess Maria Vladimirovna Romanov. 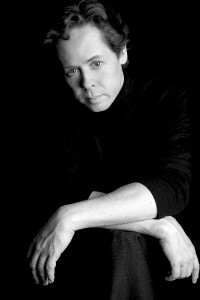 Shannon was co-Artistic Director and Chief Choreographer of Russiches Kammertheater Berlin, and awarded Professor of Choreography from the Ukrainian State Academy of Ballet in 1999, and YAGP Outstanding Choreographer in 2008. In 2006, he Co-Founded the Greenwich Ballet Academy where he also served as Chairman of Faculty and Academy Director. In 2008, he became Resident Choreographer for America’s Configuration Dance Theatre, awarded Artvoice Best Dance Company in 2008, 2009, and 2010. In November of 2010 he took on the position of Artistic Director of the Royal Ballet School Antwerp. We are happy to announce that the 6th All Nippon D.A.T.E. Classic Ballet Competition Miyagi which was postponed in March 2011 due to the earthquake is now re-organized with some changes in August 2011. Due to the recent disaster related to the eathquake in Japan, the 6th All Nippon D.A.T.E. Classic Ballet Competition Miyagi is not held as it was scheduled. We are hoping to update the information regarding the re-organisation of the competition in due course. Thank you very much for your understanding and kindest support for Japan. Liudmila Semenyaka was born on January 16th, 1952 in Leningrad. In 1970 she graduated The Leningrad State Choreographic School named after A.Y. Vaganova (now – St.-Petersburg Vaganova Academy of Russian Ballet) and entered Ballet company of the Leningrad State Academy Opera and Ballet Theatre named after Kirov (now – Mariinsky Theatre) where she rehearsed under the direction of Irina Kolpakova. In 1972, she moved to The Bolshoi Theatre where she rehearsed under the direction of Galina Ulanova, Marina Semyonova, Nina Timofeeva and Marina Kondratyeva. In The Bolshoi Theatre, she performed almost all leading roles of classic ballets which include Odette-Odile ("Swan Lake" - 1972), Mary ("Nutcracker" - 1972), Princess Aurora ("Sleeping Beauty" - 1973), Giselle ("Giselle" - 1974), Kitri ("Don Quixote" - 1977), Nikia ("La Bayadere" - 1977), Raymonda ("Raymonda" - 1984), Shirin ("Legend of Love" - 1974), Phrygia ("Spartacus" - 1975), Valentina ("Angara" - 1976), Anastasia ("Ivan The Terrible" - 1977), Katerina ("Stone Flower" - 1979), Juliet ("Romeo and Juliet" - 1984), Rita ("Golden Age" - 1987) and so on. She retired in 1997, but in 2008 she performed the role of Marie-Antoinette as the first cast in "Flame of Paris" staged by A.Ratmansky. Practically, she danced on the stages of the all Russian theatres and often appeared abroad as Bolshoi Ballet member and as a guest soloist with The Leningrad Maly Theatre (now - Mikhailovsky Theatre). She also danced as a guest soloist with American Ballet Theatre (ABT), Opera de Paris, Royal Swedish Ballet, Colon Theatre in Argentina, English National Ballet, Scottish National Ballet and other companies. She also worked as an actress of drama theatre: At the Moscow theatre called "School of the modern play", she performed the role of Polina Andreevna in A.Chekhov's "The Seagull". She took part as a jury in the International Ballet Competition in Ljubljana (1998), the "Fouette of Artek" International Ballet Competition in Crimea (1998, 1999), the Serge Lifar International Ballet Competition (Kiev, 1999), All Japan Ballet Competition in Nagoya (Japan, 2000, 2001, 2010), the international program "Benois de la Dance" (Stuttgart, 2000), and frequently gives master classes all around the world. In the present time, she works as a ballet mistress of the Bolshoi Theatre and coaches many dancers such as Svetlana Zakharova, Elena Andrienko, Anastasia Goryacheva, Anastasia Mesikova, and others. Recently she also works as a choreographer. In 2007, she staged «Fountain of Bakhchisarai» at the Ekaterinburg Opera and Ballet Theatre, in 2009 – "Giselle" (in the same theatre), and in 2010 – «Swan Lake» (in the same theatre). Born in Manchester Jane started dancing at the age of three and studied at the Hammond School of dancing, Chester. In 1980 she joined the Israel Classical Ballet where she stayed for four years dancing principle roles in Les Sylphides, Serenade, and Concerto Barocco touring the USA, Canada, South America and Europe. Jane returned to Britain in 1984 and joined London City Ballet where Princess Diana was patron. She was promoted to principle in 1987 and was coached by Galina Samsova in the title role of Giselle, for which she gained critical acclaim. She then went on to dance Cinderella, Romeo and Juliet coached by Ben Stevenson, Odette/Odile in Swan Lake coached by Patrice Bart, Swan Hilda in Coppelia coached by Christopher Gable, Sugar Plum Fairy in the Nutcracker, Marguerite in La Traviata, the leading roles in Jack Carter's Japanese Dances and Whitch Boy, and many more. These roles were performed worldwide, including Japan. Jane retired in 1997 and studied at the Royal Academy of Dancing on the Professional Dancers Teaching Course. She was awarded the Jerwood prize for the most outstanding student and went on to teach at Arts Educational in Tring, The Hammond School in Chester, and in 1999 went to work at London Studio Center. She has also guested at many summer and winter schools.